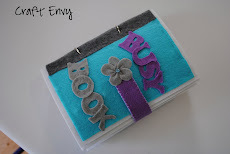 Craft Envy: Fabulous Friends Wednesday - Sonia from Kosmic Chai Crafts! 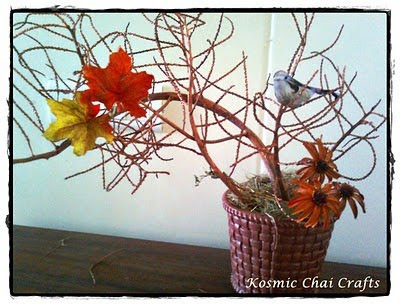 Fabulous Friends Wednesday - Sonia from Kosmic Chai Crafts! Welcome dear friends to another FABULOUS FRIENDS WEDNESDAY! We are so happy to welcome Sonia from Kosmic Chai Crafts today! 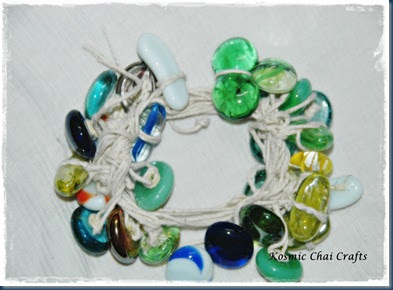 I found Sonia's blog a while back, and I have to say that I just love her mind when it comes to recycling and re purpose projects. 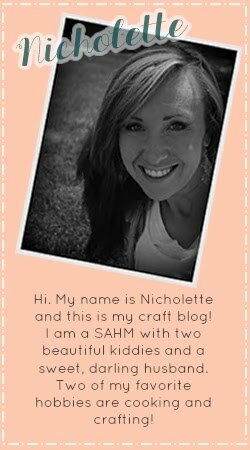 There are so many things I want to make from her blog! I'm sure you'll love what she has to share with us today, so stop by her blog today! and so excited that Nicholette and Vanessa are having me as their guest today! introduction about me is in order. crafting, and can hardly seem to keep my hands off it, even as I'm into a full-time job as account manager in a national radio channel. I love reading, dark chocolate, pastas, tea or ‘chai’, glass gems, sea, shades of blue, and everything colorful; and I’m sucker for recycling projects. My mind just can’t seem to stop whirring when I want to repurpose or restyle anything. Here are some of my earlier creations. Click on the links if you wish to check them out! 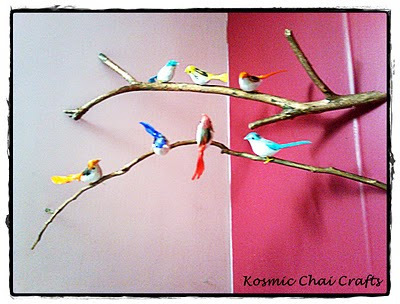 There are so many other creations of mine too, which you can check on my website: Kosmic Chai Crafts. I'm looking forward for your visits over there! Could you have imagined these were made out of plastic bottles? These plastic purses can be put into multiple uses, such as coin box, or for storing keys, craft tidbits, beads etc.- almost anything! At the same time, your being a socially responsible person and holding some plastic off the hazardous landfills. Now lets get started! Heat and old kitchen knife, and with it drill a hole slightly above the bottom area of the bottle. Insert your scissors into the bottle from the hole and snip the bottoms off the soda/water bottles. This is very easy! Two bottoms make one purse; take note that both are similar in shape and size, or the purse wouldn't look proper. I made two purses out of 4 bottoms: two of the flat kind, and two from soda bottles. You must have noticed the sharp edges of the hence snipped bottoms, and we don't want bruised fingers every time we touch them, do we? So cover the raw edges with the help of some cello tape. Next, lay them bottoms up for a good coat of acrylic spray paint. I chose silver. Wrong Choice. Choose carefully! After the spray paint has dried, take your sharp edged screwdriver and pierce holes in regular intervals along the edge. Later on, I found that even a large needle would do the trick! Bring in those zippers! I wanted to finish this project with everything on-hand, hence I salvaged some old zippers from hubby's unused trousers and jeans. You can do the same; ransack hubby's cupboards. Take care that they're of the same length as the bottle's circumference. Mine were shorter and came only half-way, but I used them anyway! Now place the zipper along the edge of the bottom. Now start stitching the upper half of the purse by securing the other side of the zipper to another bottle piece. Once stitched, close the zipper. Ta Da, you've done it!! Trim the unwanted threads of the zipper, and you're done! The zippers I used were shorter, hence I can zip these only till half the way. Use the zippers of exact length for better results! Ideally you could have stopped here, if you had the colored it right. I hated the cement-colored look, so started to alter their look. I painted some floral designs on one of the purses, so that the base silver color doesn't show much. The second one however, I re-painted totally white, and coated it with some matt Mod Podge so that the silver doesn't show. I then made small brush strokes with the colors of spring, and outlined them in black. Done! Pop in your small change, keys, or paper clips, whatever! Here they are, all zipped up! I love these- good recycling, great for storage! What do you think? Let me know by visiting my blog and leaving some comments! Thank you Nicholette and Vanessa, for having me here! Ooh, I had such fun! Whoa, I never would have thought of this! Super creative. I love your blog it is so cute! This is amazingly creative! I can't believe these are from pop bottles. I have these by the boatload! 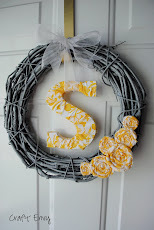 I think we'll make these over the summer when the kids are bound to be bored! 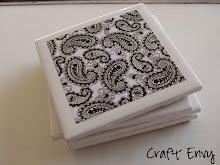 I'm going to have to try this with my Art camp kids! Great idea, and lovely execution. OH my! HOW sweet and totally GREEN! Those are awesome! Thanks for sharing! You are just amazing Sonia!!! i was looking for some idea to make some nice wall hanging using marbles and glass gems and the result showed your blog and ended to this link. I am very glad and learned pretty nice creativity from your sites.